VIENNA - The control systems of Iran's Bushehr nuclear plant have been penetrated by a computer worm unleashed last year, according to a foreign intelligence report that warns of a possible Chernobyl-like disaster once the site becomes fully operational. Russia's envoy to NATO, Dmitry Rogozin, also has raised the specter of the 1986 reactor explosion in Ukraine, but suggested last week that the danger had passed. The report, drawn up by a nation closely monitoring Iran's nuclear program and obtained by The Associated Press, said such conclusions were premature and based on the "casual assessment" of Russian and Iran scientists at Bushehr. With control systems disabled by the virus, the reactor would have the force of a "small nuclear bomb," it said. "The minimum possible damage would be a meltdown of the reactor," it says. "However, external damage and massive environmental destruction could also occur ... similar to the Chernobyl disaster." Iran has acknowledged that the malware - malicious software designed to infiltrate computer systems - hit the laptops of technicians working at Bushehr, but has denied that the plant was affected or that Stuxnet was responsible for delays in the startup of the Russian-built reactor. The Islamic Republic is reluctant to acknowledge setbacks to its nuclear activities, which it says are aimed at generating energy but are under U.N. sanctions because of concerns they could be channeled toward making weapons. Only after outside revelations that its enrichment program was temporarily disrupted late last year by the mysterious virus did Iranian officials acknowledge the incident. Ali Asghar Soltanieh, Iran's chief representative to the IAEA, cut short attempts by AP to seek comment on possible damage by Stuxnet at Bushehr. But Rogozin, the Russian envoy, described how engineers at Bushehr "saw on their screens that the systems were functioning normally, when in fact they were running out of control," conjuring up a frightening dimension to the potential fallout from the virus. "The virus which is very toxic, very dangerous, could have had very serious implications," Rogozin told reporters, adding it "could have led to a new Chernobyl." Experts are split on how powerful the Stuxnet virus might prove. Olli Heinonen, who retired last year as head of investigations of Iran's nuclear programs at the International Atomic Energy Agency, believes it could have infected control systems at Bushehr, or elsewhere, causing "a lot of havoc." Bur German cybersecurity researcher Ralph Langner says that, while the virus has infested the reactor's computers, "Stuxnet cannot technically mess with the systems in Bushehr. "Bottom line: A thermonuclear explosion cannot be triggered by something like Stuxnet," said Langner, who has led research into Stuxnet's effects on the Siemens equipment running Iran's nuclear programs. A spokeswoman for Atomstroyexport, the Russian company in charge of construction at Bushehr, also cast doubt on there being major damage at the plant, saying its control system is fully autonomous and virus-proof. 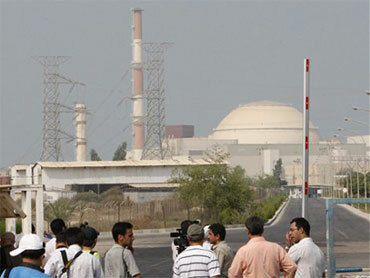 The IAEA - the U.N. monitor of Iran's nuclear activities - declined comment on damage at Bushehr. 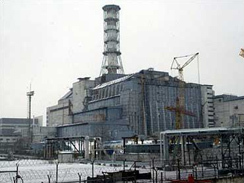 But officials, who asked for anonymity because they were not authorized to discuss the issue, have said the agency is unhappy with safety and operating standards at the reactor. Chernobyl's reactor No. 4 (left) exploded in 1986, spewing radiation over a large stretch of northern Europe. Hundreds of thousands of people were resettled from areas contaminated with radiation fallout in Ukraine, Belarus and Russia. Related health problems still persist. Langner, the German expert, told AP it could take about a year to clear the worm out of Bushehr's systems. Western intelligence officials believe the site could be operational in coming months. Bushehr has been hit by numerous setbacks. It was scheduled to be in use by 1999 but was delayed by construction and supply glitches. Moscow may also have stalled the project in attempts to pressure Tehran to compromise on its nuclear program.